I love having the fins on the element, it makes a big difference in a wave. The white-water seating position suits me much better compared to surf kayaks with the low knees close together. Can anyone tell me how these two boats would differ in the surf? Has anyone paddled both and could give me a brief description on their strengths and weaknesses? Aquapacs are designed for this purpose, but over time i guess they could leak or not be sealed due to user error, so double bagging gives a little more piece of mind. +1 for Aquapac inside my buoyancy aid. If you're really worried you could put the key inside a sealed sandwich bag before putting inside the aquapac to make double measures. The ski is a complete project that needs foam replacing and laminating with new fibreglass. I bought it to learn on but intend to use it eventually. Good idea with the closed cell foam, I didn't think of that! OrigiNZ Zambezi Kayak Paddle in virtually mint condition. RRP around £59.99? Yours for just £30. Does anyone ride the Mega Phantom? How does that compare to a Bullitt S? Are there any other older (pre 2017) boats that are easy to paddle (for someone who struggles with tippy boats) suited for messy surf other than the Bullitt S? Something that would sell for under £600 secondhand? 4/3 wetsuit with boots, gloves and hood in winter. Begin to loose the extras (except boots) as it gets warmer. Nookie Ti long sleeve top and Nookie wetsuit trousers when it gets warm. I sat in a Bullitt S an it felt very thin, need to have a go in one really. 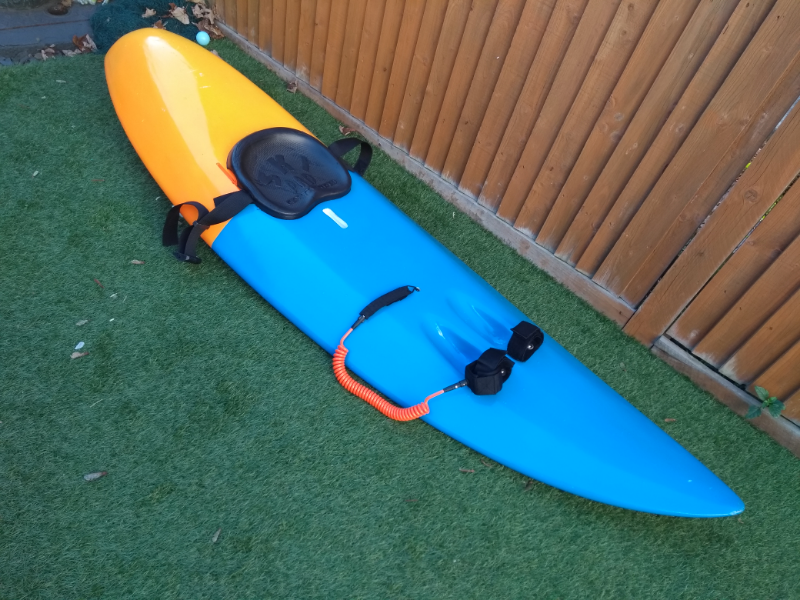 Are there any wider models that are easy to paddle/roll? I've seen a few phantoms for sale recently..
Just seems a bit awkward ringing them for advice on second-hand boats! Just wondered where you are based? There doesn't seem to be anymore about now they have stopped making them. Are there any Mega/Ride boats that have the higher knee position like in a whitewater boat? I bought a plastic neutron before the Element but really struggled in it. Just found it too tippy and couldn't roll it. Yeah, I'm sure I saw one on here for sale a couple of years back for £650. I was expecting to pay between £500 & £600. Already tried that, they said it was £1500 new?